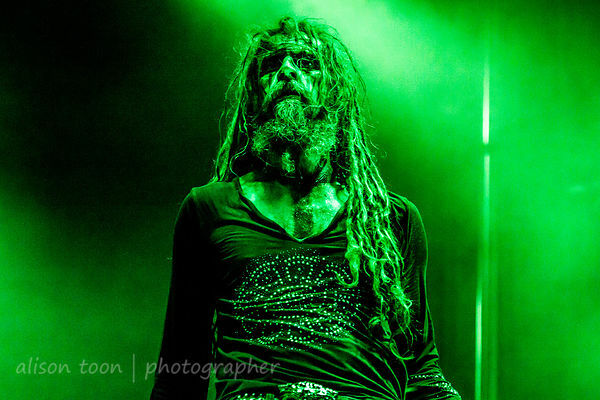 All I really want to say now that the photos are uploaded, is that I really, really like Green Rob Zombie. 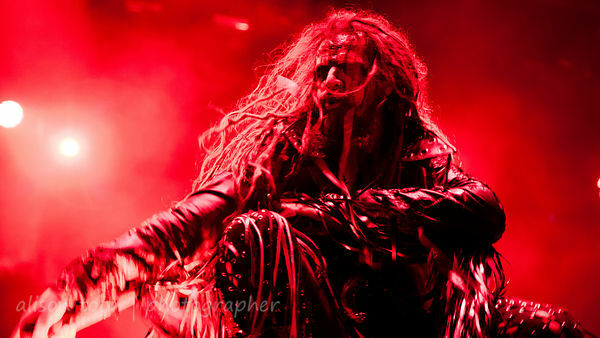 Red Rob Zombie, much less so. 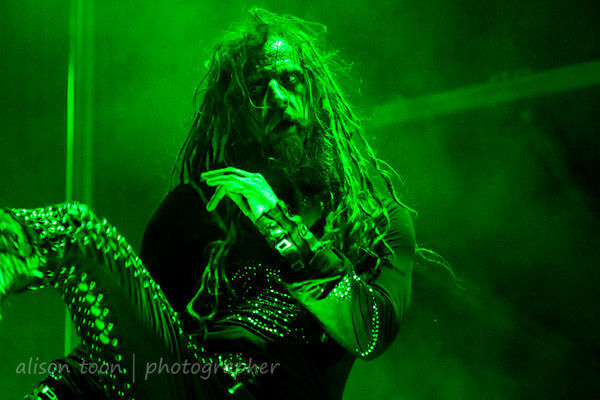 Emphatically not Red Rob Zombie. Blue? 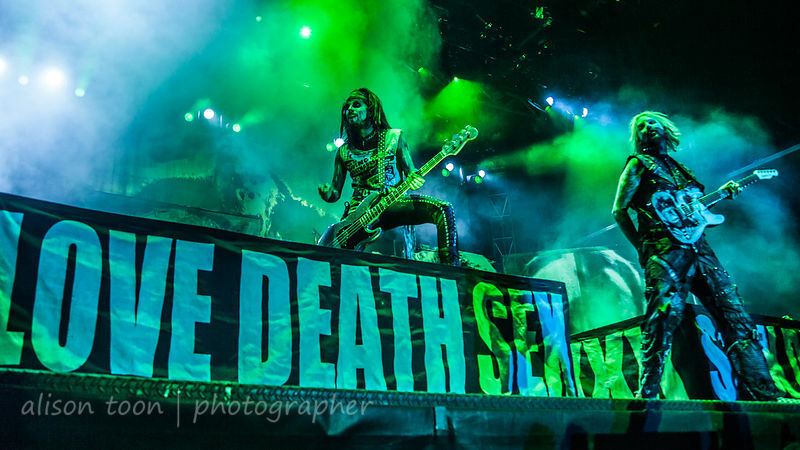 He was only there a couple of moments, so it doesn't really matter. 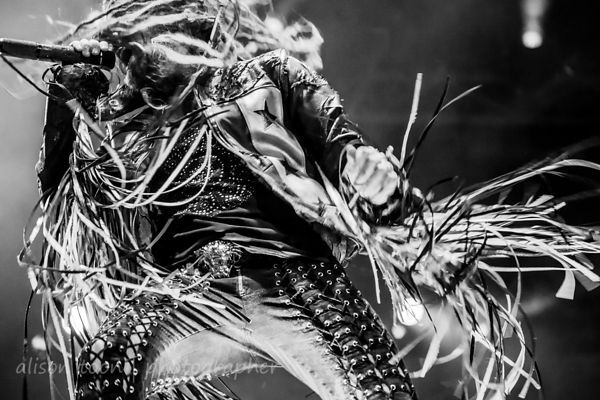 But Mr Rob Zombie, all colours and shades and styles and personas, he was there, at Aftershock 2014, in full force. Dreadlocks, long jacket fringes, scary makeup, manic and multiple mic stands, an American flag, zombie-esque movement... Grand Funk Railroad, and James Brown. 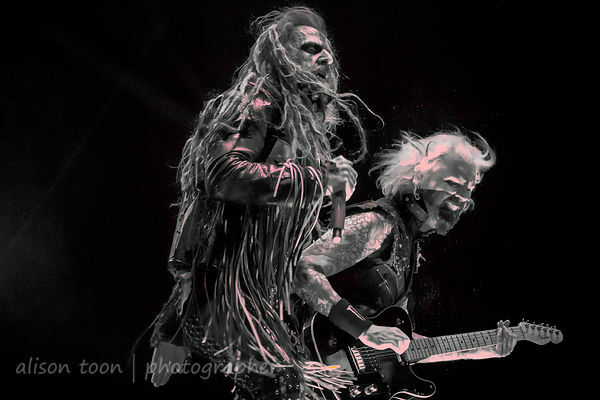 For the full Toon's Tunes photo gallery from Rob Zombie's show at Aftershock 2014, go to this photo gallery.